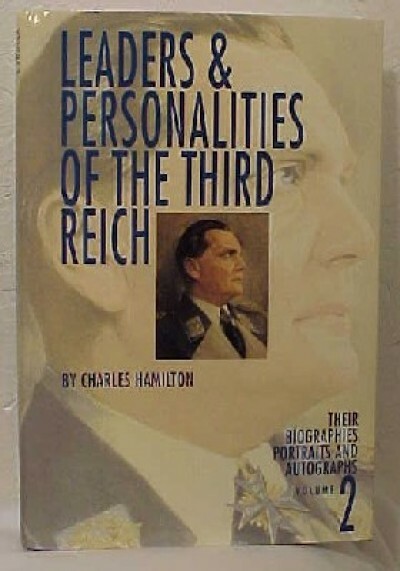 This companion book to volume 1 records the lives and activities of additional personalities associated with Nazi Germany. With their in-depth biographies appear scores of never-before-published photographs and hundreds of rare signatures and documents. Among the characters covered are the cohorts of the Nazis, many of them puppets who moved only when Hitler pulled their strings; the "dark" individuals whose deeds are unique in the annals of human depravity; in sharp contrast are the German leaders who plotted to overthrow the regime and paid the ultimate price; cultural leaders including philosophers, inventors, artists, actors and authors; the military leaders, many of them aloof from the politics, are described in chapters on the Field Marshals and Luftwaffe heroes; and the wily German spies who sometimes altered history with their clandestine activities. This historical document has been superbly researched and written and belongs in the library of every person that loves and cherishes the autograph hobby, both collector and dealer alike.